MOSCOW, February 8. /TASS/. 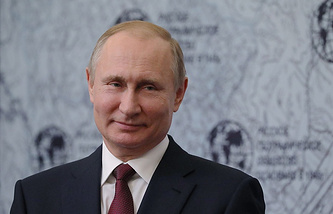 More than 71% of those surveyed said that they would vote for the incumbent head of state, Vladimir Putin, at the upcoming presidential elections, if the vote took place next Sunday, according to a poll by the Russian Public Opinion Research Center, conducted during the week of January 29-February 4. The survey reveals that 71.4% chose Putin. This figure is higher than the results of the previous poll on January 26 - 28, when 69.9% said that they would cast their ballot for the nation’s current leader. The number of those wishing to vote for Communist Party nominee and businessman Pavel Grudinin, has dropped from 7.2 to 6.9%, and 5.7% of those polled (against 5.9% in the previous survey) support LDPR leader Vladimir Zhirinovsky.TV socialite Ksenia Sobchak (the Civil Initiative party) garnered 1.3%, while Grigory Yavlinsky, one of the founders of Yabloko party got 0.7% Last of all, Russian Business Ombudsman and Chairman of the Party of Growth, Boris Titov received just 0.4% (against 1.2%, 0.9% and 0.3% in the previous poll, respectively). Election Day, when votes will head to the polls, is scheduled for March 18, 2018. 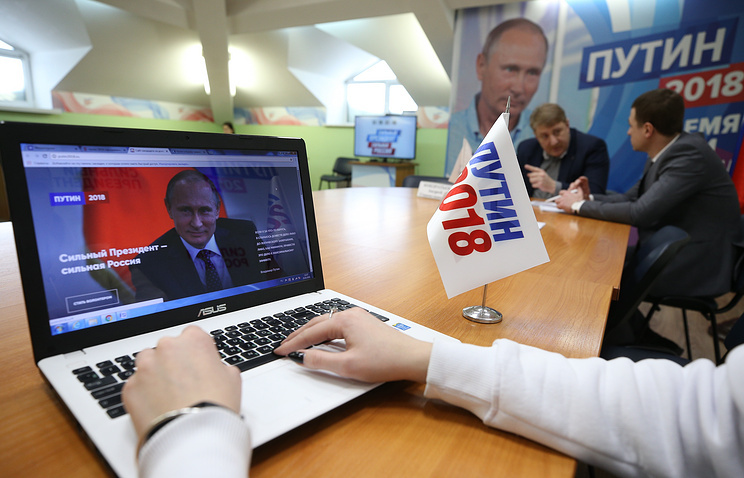 The Russian Central Election Commission (CEC) has registered six candidates for the country’s highest office. The list includes incumbent President Vladimir Putin, who is taking part in the 2018 election as an independent candidate, LDPR leader Vladimir Zhirinovsky, Communist Party nominee and businessman Pavel Grudinin and Grigory Yavlinsky, one of the founders of Yabloko party. Other approved candidates are Russian Business Ombudsman and Chairman of the Party of Growth, Boris Titov along with Sergei Baburin, the leader of the Russian All-People’s Union and former Deputy Speaker of Russia’s State Duma (lower house). On February 8, the CEC is going to decide on the registration of Ksenia Sobchak (the Civil Initiative Party) and Maxim Suraykin (the Communists of Russia).